Madame Ngo. Usually my food posts go online on fridays but since I’ve been on holidays the whole week there was little time to prepare this post. In fact, we came back today and better late than ever, because I have one more last food recommendation from Berlin for you. Together with a friend of mine we’ve tried the recently opened Madame Ngo in Charlottenburg. 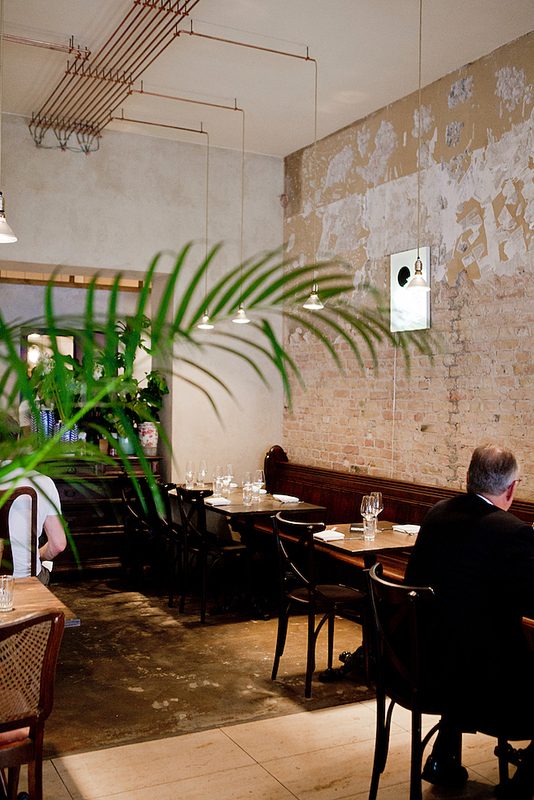 The restaurant serves a twist of French and Vietnamese kitchen. 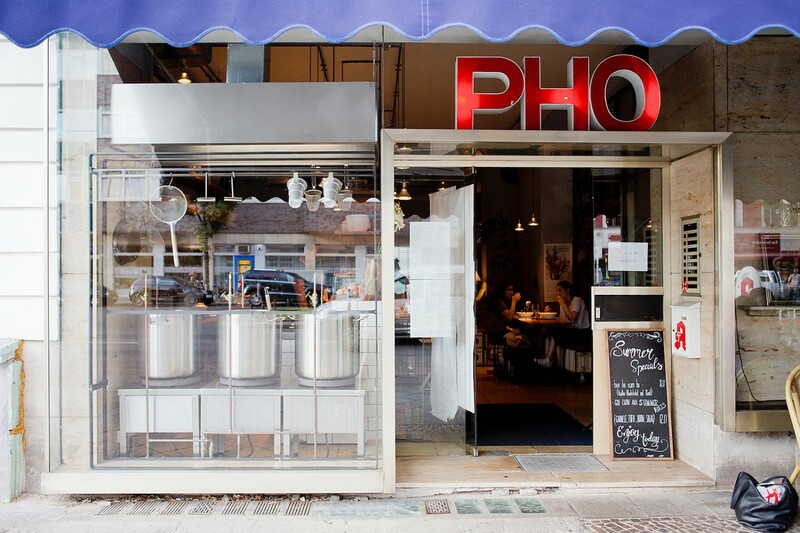 Outside you’ll already see the huge pots for the pho broth in the windows. 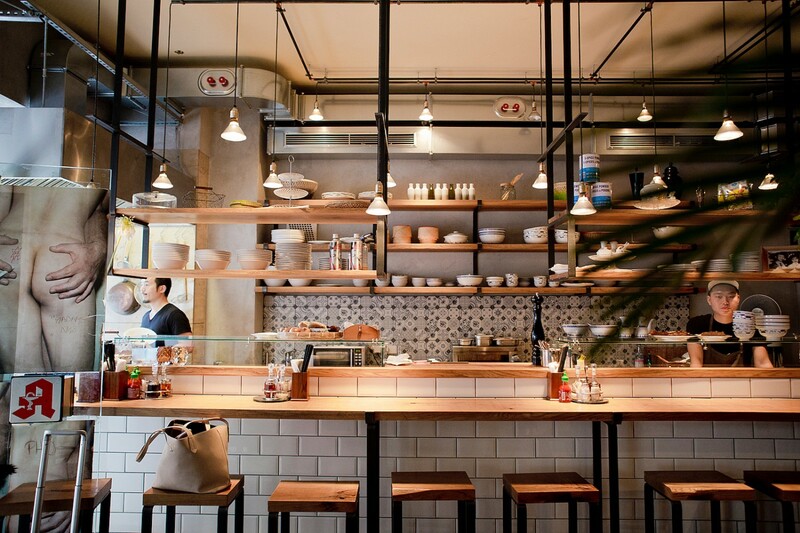 Inside the decoration is kept classy but still simplistic – a mix of Japanese udon bar and Berlin style. The menu is divided into three parts. 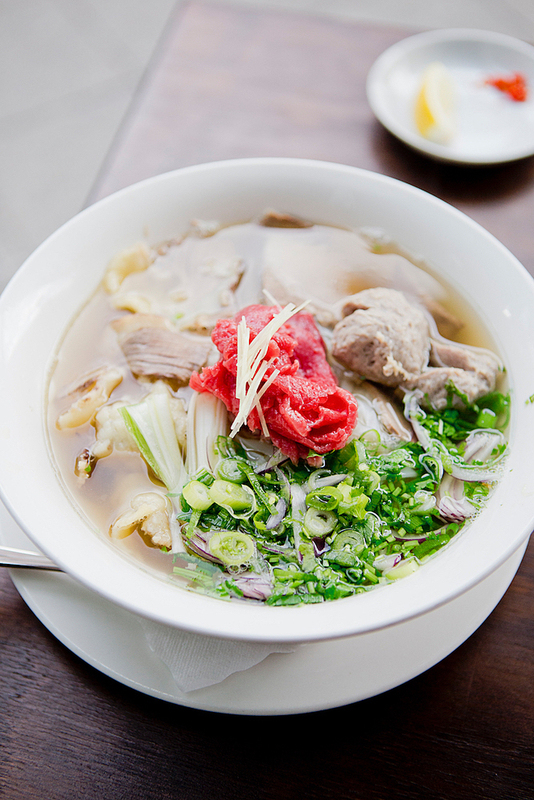 You’ll find various Phở, which are Vietnamese noodle soups, Bánh mì, Vietnamese sandwiches and French fusion dishes. My friend ordered a delicious Pho while I went for a Bánh mì Hà Nội with roasted pork, pâté, Chả/Giò, Nom, cucumber and coriander, which I wanted to try for such a long time. We sat outside on the terrace and I enjoyed my last Berlin minutes. Our dishes came super quickly and the service was really nice. My Bánh mì was super tasty and had lots of cilantro in it. But it was quite hard to eat and my hand were soaked with the sauce, which came out of the bread. On my other side, the broth of the Phở was clear and and full flavored. You can also get it with organic chicken if you like. Prices for Bánh mì range from 7-11€, while Phở cost 9-16€. 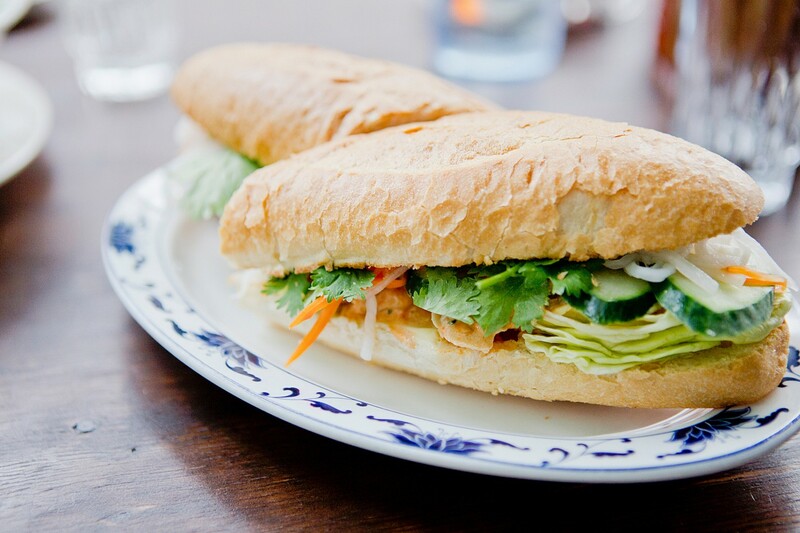 Moreover, the French-Vietnamese main courses range from 11-19€. All in all, Madame Ngo is such a great address for eating. Since it has just opened in February I would recommend to book a table. We came super early around 6pm and there were already lots of people. The prices are a little bit higher compared to other Berlin restaurants. However, it’s quality and taste justifies it. My friend said it was one of the best Pho he’s had in Berlin. French-Vietnamese main courses are from 11-19€.